Waking up to the annoying sound of alarm clock is a ritual that most of us go through in the morning and absolutely HATE it. 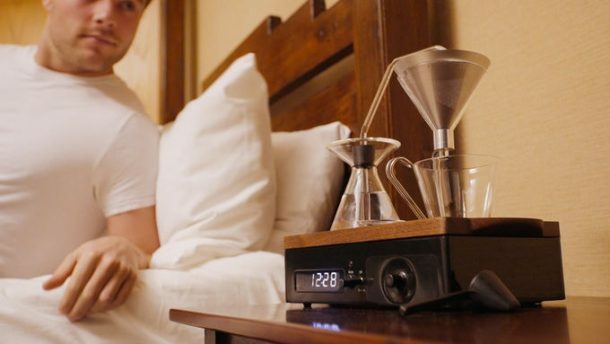 The Bariseur alarm clock has been designed to improve the morning ritual and make it something worth looking forward to. 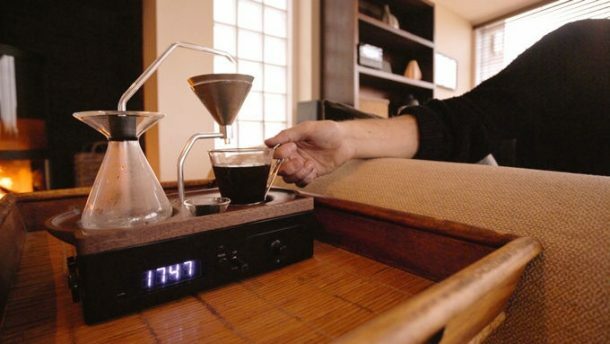 It does so by incorporating freshly brewed coffee to the mix. The gadget makes use of induction heating in collaboration with multiple steel ball bearings that sit at the bottom of a glass beaker. It heats the water to 94 degrees Celsius, thus forming steam pressure. This forces the water out of the vessel and into the stainless steel filter where tea/coffee has to be placed. 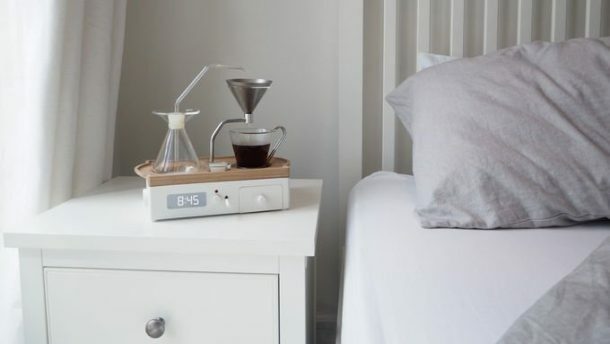 Once the water comes out onto the stainless steel filter, it brews the perfect morning beverage for the sleeping user. It also features a peltier cooler for a small cup of milk and a sealed drawer for storing sugar and other necessities. The Bariseur was announced first in 2014, however, the team has spent the last two years refining the design and features in order to make it more viable for mass production. The last hump is being crossed via Kickstarter crowdfunding campaign whose aim is to raise $550,000. 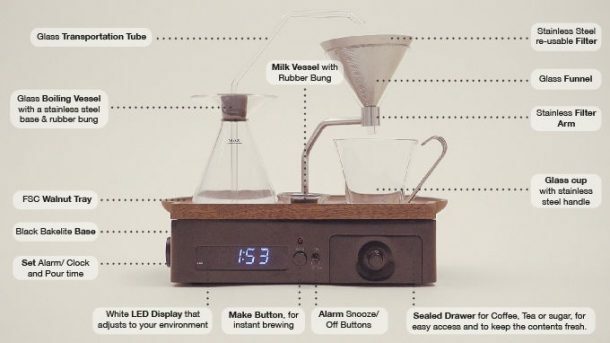 The manufacturing process for the amazing Bariseur alarm clock will take another year and you will enjoy your first cup of morning beverage in June 2017 if all goes well.